Guys, Instagram is my everything. Just the other day I was talking with my husband about how glad I am that we have this photo journal of our lives, and now of our little dude’s life. 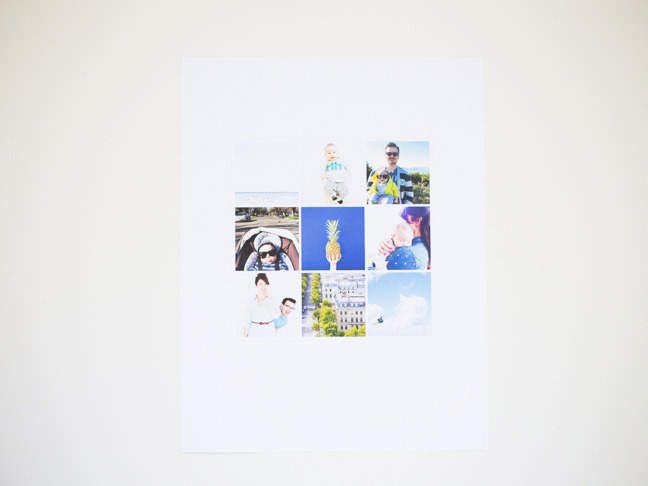 It’s so fun to look back through images and remember our adventures, and it’s even more fun to have some of our Instagrams printed out and placed around the house! 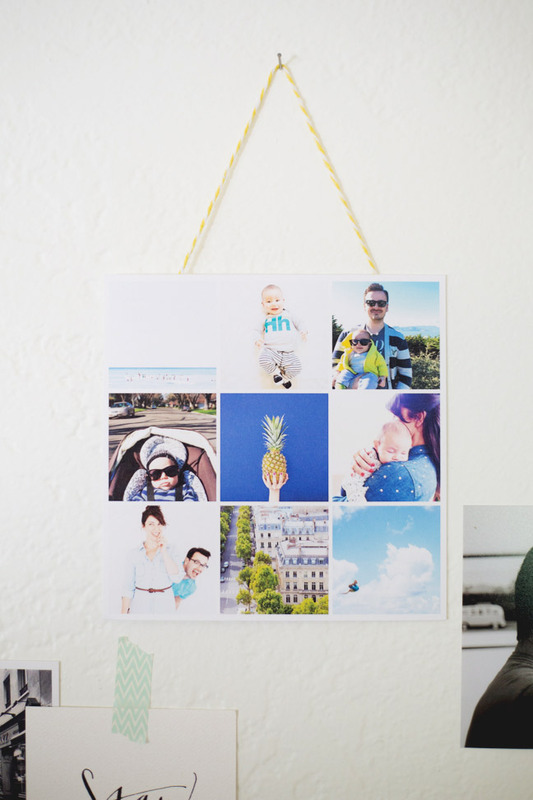 If there’s a mom in your life who loves photos, I guarantee she’ll love this little Instagram photo art project. 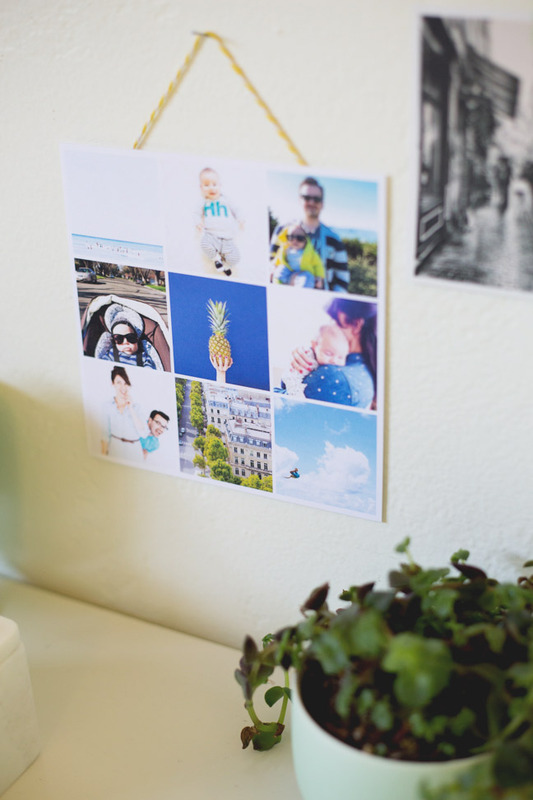 It’s perfect to use as a Mother’s Day card, and then to hang up and love forever! 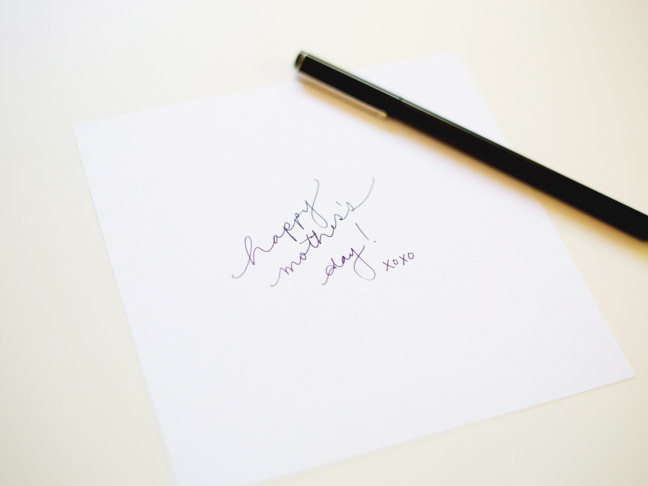 Step 1: Download the Mother’s Day Card Template and open it in Photoshop. 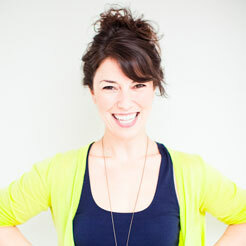 Step 2: Choose nine Instagram photos that Mom will love. 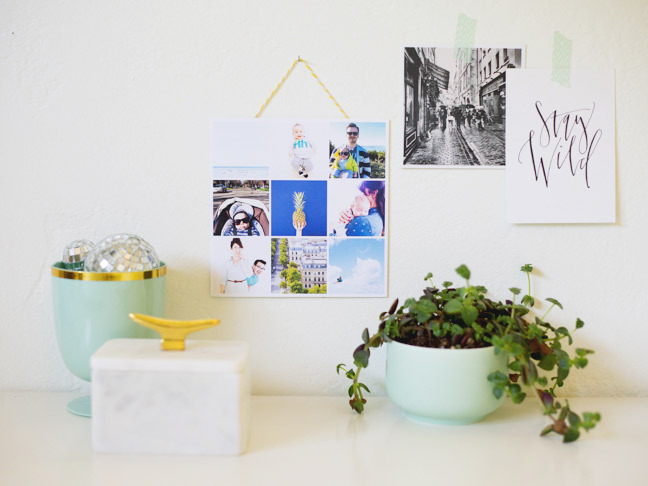 This project looks particularly cool if you choose photos that are all in a similar color palette! If they are on your computer in iPhoto or a similar program, great. If not, you can take screenshots of them by opening them in an internet browser. Step 3: Open all nine of your Instagram photos in Photoshop. Begin entering the photos into the template. 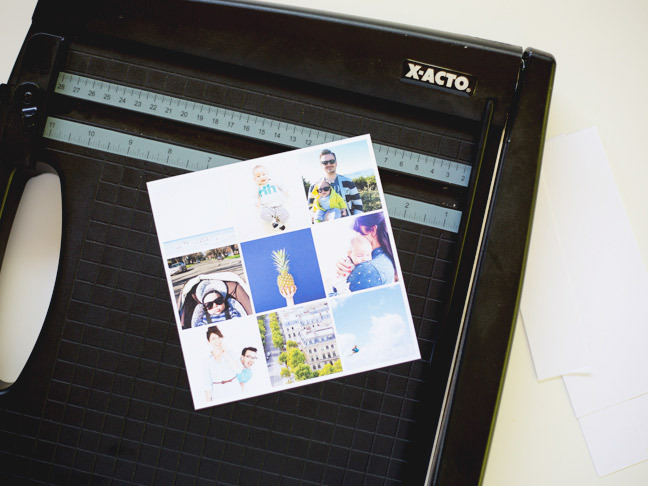 If this process is new to you, follow this tutorial to learn how to fill out the template with your photos! 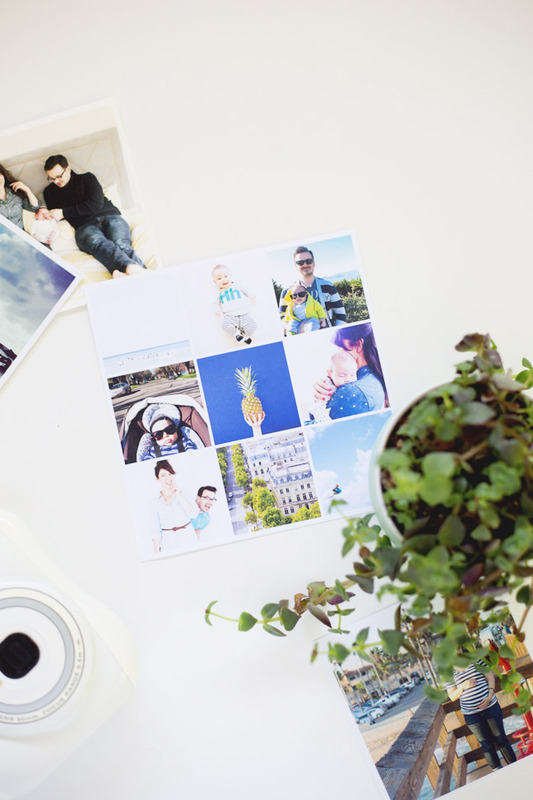 Step 4: Once all of your photos are entered, save as a JPEG and print your file. Step 5: Cut out along the faint outer line to create your card. Step 6: Write a sweet message on the back! 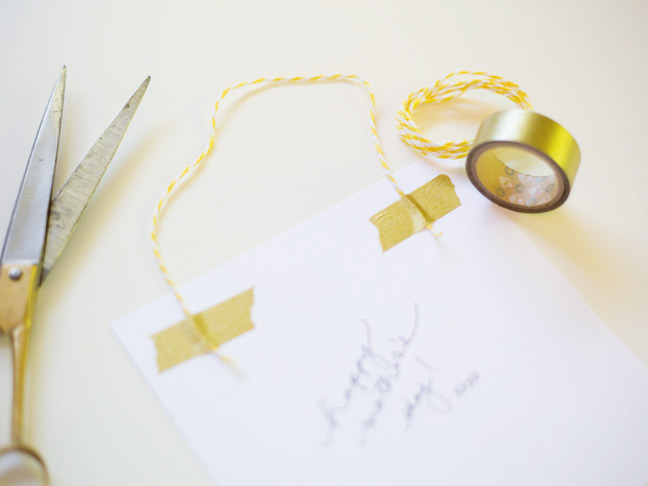 Step 7: Give the card to Mom with a little kit of washi tape and baker’s twine. 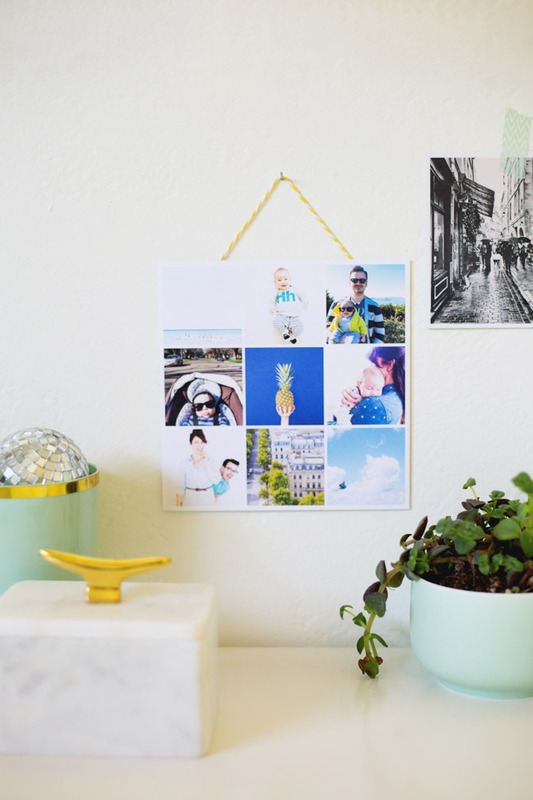 After she’s read the card, you can make a little hanger so she can hang it up and enjoy your Instagram snaps long past Mother’s Day!